First announced on 11 August 2016, the Choa Chu Kang–Bukit Panjang Bus Package is one of fourteen bus packages to be released by the Land Transport Authority (LTA) as part of the transition to the Bus Contracting Model (BCM). Currently, SMRT Buses operates 33 bus services in this package under a Negotiated Contract (NC) model until Year 2023, while Tower Transit operates 1 Bus Service. This package comprises 33 existing bus services mainly originating from Choa Chu Kang Bus Interchange and Bukit Panjang Bus Interchange, with a handful originating at Bt Batok West Ave 5, Choa Chu Kang Ave 5, South Bridge Rd, Bukit Batok and Marina Centre. All bus operations would be based out of Kranji Bus Depot. This bus package has been referred to as “Gali Batu Bus Package” by staff from SMRT Buses. Bus Service 308 was removed from the Choa Chu Kang-Bukit Panjang Bus Package in Q4 2018 following the withdrawal of the bus service. Choa Chu Kang–Bukit Panjang Bus Package contains 33 existing bus services, 32 of which are currently operated by SMRT Buses and 1 by Tower Transit. Bus Service 974 is operated by Tower Transit under a Negotiated Contract until the Choa Chu Kang – Bukit Panjang Bus Package contract renewal. Bus Service 974A is operated by Tower Transit under a Negotiated Contract until the Choa Chu Kang – Bukit Panjang Bus Package contract renewal. 2016 (11 Aug): Choa Chu Kang–Bukit Panjang Bus Package mentioned as one of 11 Negotiated Contract (NC) Packages, and operated by SMRT Buses. 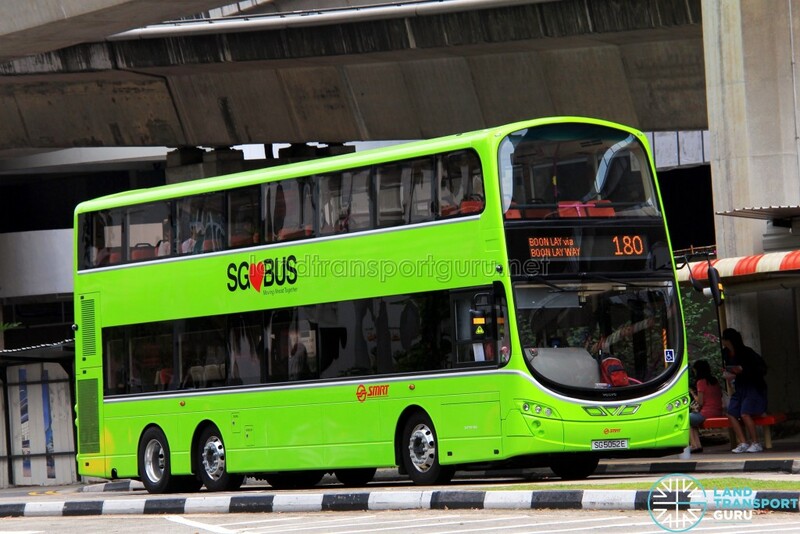 2018 (08 Apr): Bus Service 974 added to the Choa Chu Kang – Bukit Panjang Bus Package, operated by Tower Transit under Negotiated Contract. 2018 (13 Aug): Renumbering of Express Services 188E & 868 to 188e and 868E respectively. 2018 (30 Sep): Bus Service 308 removed from the Choa Chu Kang – Bukit Panjang Bus Package following the withdrawal of the bus service.